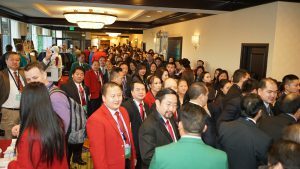 Jump Start 2016: Big Announcements | First Financial Security, Inc.
A capacity crowd, including several new associates who joined the company during the recent 10|10 Blitz, packed the Marriott Atlanta Airport’s Grand Ballroom, Feb. 5-6, for First Financial Security, Inc.’s Jump Start 2016. The two-day event featured intensive training on the First Financial Security System, as well as, included several major announcements and a recognition night where nearly 200 awards were presented to deserving field representatives. The FFS Business Building System (BBS) manual debuted at Jump Start 2016 and was one of seven major announcements made during the event. 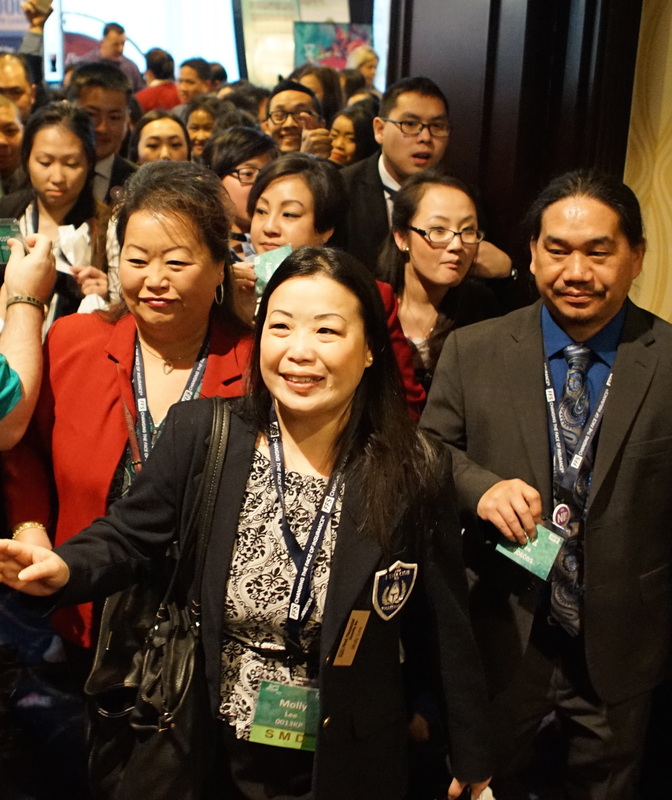 The Business Building System also served as the main focus of the event, with First Financial Security’s top leaders training audience members on each of the BBS’ Six Steps and other business-building concepts. A decade in the making, the new manual is greatly expanded and includes 21st century tools, such as using social media and hosting webinar Business Opportunity Presentations (BOPs); detailed sections for each of the six steps; a fully integrated Fast Start program; and much more. 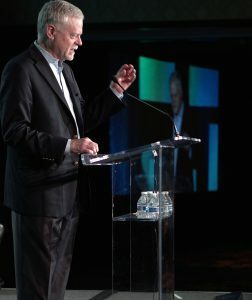 One of the event’s biggest moments came when FFS Co-CEO Phil Gerlicher announced that the First Financial Security join fee had been reduced from $125 to $10 going forward. The $10 fee was introduced in January during the 10|10 Blitz, but the decision to keep it at the lower price will help First Financial Security achieve one of the major goals of its campaign to change the face of insurance. The campaign, introduced at Leaders Convention 2015, is dedicated to changing by whom, to whom and how insurance is sold in America. This lower join fee will help will break down barriers and open the industry up to all people who want to make financial services their life’s work. 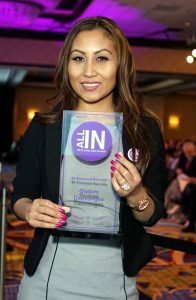 FFS is committed to make the industry more inclusive and help it better reflect the face of America today. The $10 join fee also honors First Financial Security’s 10 years of Business Excellence. The company began operations in 2006 and, over the years, has grown into one of the premier financial services agencies serving middle Americans. The organization and its field associates are committed to working together to continue the highest standards of integrity, accountability, and performance well into the second decade of business operations. At the conclusion of Friday night’s Awards Ceremony, First Financial Security’s Director of Marketing & Communications Laura Manzer announced the date and location for Leaders Convention 2016. The event is scheduled for Aug. 25-27, 2016, at the M Resort, Spa, and Casino in Las Vegas. The Awards Ceremony theme was “All In.” To kick-off registration for Leaders Convention 2016, Laura shared information about a special preregistration promotion that would show who was serious about being “all in.” Anyone who preregistered before the end of the Jump Start event would receive a commemorative Leaders Convention 2016 t-shirt. The promotion worked. By the close of Jump Start, nearly 200 FFS associates had preregistered. First Financial Security’s COO, Vince Rokose, “walked” attendees through a presentation of the newly enhanced and expanded FFS Agent Back Office website that will launch in February. In addition to a sleek, new look, the FFS Agent Back Office site’s content has been organized intuitively for ease in use. The new website has enhanced features and improved functionality that will make it the operational center of any FFS associate’s business. FFS has made a commitment to technology – resources, tools, and applications – that will help FFS entrepreneurs take their businesses to the next level. A new First Financial Security business card and ordering platform was also announced during the meeting, eliciting cheers from attendees. The updated, on-brand business card can now be ordered from multiple vendors, providing associates with a more economical way to purchase cards. A new recruiting tool – Focus on Your Dreams – was presented by Laura Manzer. 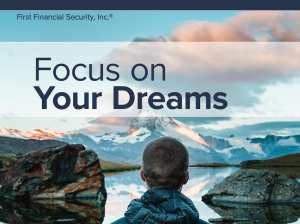 The launch covered both a corporate video and written content to aid field representatives in sharing the compelling value proposition of First Financial Security, Inc. The brochure, a companion piece to the Entrepreneur’s Edge brochure that was launched at Leaders Convention 2015, is approved for use with all audiences. The versatile piece is already included in the FFS Welcome Kits, sent to new associates within days of joining. It can be used in one-on-one presentations, or as an image piece to show clients who First Financial Security is and what it does for individuals and families. Laura also introduced two new, downloadable Business Opportunity Presentations (BOPs). She explained that these BOPs feature a new look that’s in keeping with the company’s brand strategy, are on message, and have been approved by FFS Advertising & Compliance for use with all audiences. She stressed that the one thing that hadn’t changed is First Financial Security’s powerful, entrepreneurial opportunity, which is clearly and concisely outlined in the new BOPs. The theme for Jump Start 2016 was “Unstoppable.” With the seven new tools, events, and a new, affordable join fee, First Financial Security and its field leaders enter their second decade determined to not be deterred in their efforts to help all people achieve financial security and peace of mind.